So yesterday, I shared the news that THE MELODY IN MY HEAD, Love and Music in Texas Book 2 was done! Well, the first draft anyway. There's still much work to be done to whip this baby into shape! Which brings me to my first point. Trusting your story AND risk taking. Anyway, the Love and Music in Texas series, at least the first part of it, is going to revolve around Harmony's Echo, Texas, and the band Baby Stetson. Of course we know Book 1 started off with Avery, and Jameson, her ex, and the lead guitarist for the band managed to warm his way into my heart and get his own story. I created some good conflict for Jameson, starting in the first book, and so he's got a lot to deal with in his story. He made a mistake that changed things for him and Avery. Book two introduces readers to Melody Roland, a woman on the run who ends up stranded in Harmony's Echo, and Jameson is there to help. He connects with her over music, and also because she's there when things happen in his life. He comes face to face with part of his past. Of course, Avery and Lucas have their appearances, and I've introduced a sub plot that involves the two of them so there are a few scenes that are in either Avery or Luke's point of view. There is a big incident that happens to Lucas, which forces Melody to realize that she can't run from her own past. My editor read through the draft and isn't sure about a few things. I try to change up things in my stories and didn't want everything to be the same, so one of the biggest plot points doesn't happen to Melody and Jameson, but it forces the pair to figure out what they want and need. Maybe it's a risk to write it that way, but I don't feel that the subplot takes away from Jameson or Melody. I've learned that everyone is going to have various opinions, I found that out reading all the different reviews on Baby Stetson. Something that worked for one was definitely NOT the case for another. You can't please everyone, but does that include the person that edits your story and wants to help make it the best it can be? I know there are some things that need work on the story, I don't deny that- it's a rough draft and I am a panster. But I felt like what I did with Lucas helps his character. That brings me to the ups and downs of writing a series. I've been huge on authors that have integrated older characters that had their own HEA in a previous story. Readers get to catch up with them. that works for some, and doesn't for others. One of my favorite examples is Marie Force's Gansett Island series. It's like the best sense of community I've ever read with a series! Now, I'll admit, as the books goes on, it does get a little overwhelming with all the catching up and new characters, but I still enjoy reading about them after their happily ever after. Why? It gives more depth. It's like a version of real life, because you get to find out what happens after they fall in love, get married and live their lives. I love Harmony's Echo so much, I want that kind of sense of community. Lucas and Avery are the couple that won't leave my mind. Also, another thing my editor brought up was that in a series, it's hard to make things stand alone. I get that. There are things talked about in book 2 that happened in book 1, but how do you avoid that? It's just not easy to make it a stand alone in that sense, because it's a small town and the characters are so connected. So that's my rambling. What are your thoughts, as a series writer? A series reader? And if anyone has read Baby Stetson, and if you're willing, would you want to read through The Melody in My Head as a very early beta to tell me what you think of how I worked the ending? I'm already coming up with an alternative one to see which works better. Welcome to Sneak Peek Sunday! This is a fun little weekly hop where authors post six paragraphs from a work in progress or a completed book. There's usually a little something for everyone, so I hope you'll check all the great stops out. You never know what you may find. I apologize for the mishap on my blog...I posted the link to my author blog on my website, but we're still working out the kinks in my admin panel and there were some things that came out messed up, and so I had to take out the content, but couldn't delete the post itself. More practice for me, more work for my husband to fix the problem hehe. Anyway, my sneak peek today is from Baby Stetson, my March release. As you may know, Baby Stetson is book one of the Love and Music in Texas series, and as I am coming up on the finish line to book two, The Melody in My Head, I wanted to share a few scenes in Baby Stetson of Jameson, the hero for book two. Jameson is the lead guitarist for the band, and Avery's ex. They struggle to find their way back to friends, as the pair have grown up together, and had been dating for years until one mistake changed everything. Jameson had been so great about everything. Avery missed spending time with the man she’d grown up with. Still fearful about losing their friendship, Avery hadn’t done her best to help things go back to normal. Yet here he was, still by her side, being a good friend. Avery hugged him. Jameson stiffened at first, then hugged her back. “What’s that all about?” Jameson asked when she let him go. “Just me being all emotional again. That was for being such a great friend ... especially after everything. I’m just in awe at how times and things change. I hate that we didn’t work out, but I’m so thankful for our friendship.” Avery wiped a tear away. “Oh Jameson. I-” Avery’s heart sank. She hadn’t even thought of him seeing them, and she knew Jameson took their breakup hard. And there you have it! Today's Sneak Peek. I'll be posting a few more scenes from Baby Stetson with him in it, and then soon, I'll switch over and show you more of him with The Melody in My Head. I hope you enjoyed today's snippet! Welcome back to Sneak Peek Sunday! This a fun little weekly event where authors participate in posting six paragraphs from a work in progress, or a completed work, published or unpublished. There's always a variety, so be sure to check out what authors have to offer! I thought, since it's Mother's Day, that I would share a scene from Baby Stetson between Avery and her adoptive mother. They are very close, and Avery has a lot of changes in her life, but her mom is being supportive and wonderful. Here's the snippet! “I see you’re getting a head start,” Mom said, sitting on the bed beside the open bag. “I couldn’t sleep. Each dream I had was worse then the one prior,” Avery admitted, folding up the last of the skirts she’d chosen and placed them on top of the pile. “Mom, you’re going to make me cry again,” Avery sniffed, but she couldn’t keep the smile from spreading across her face. “I love you too. I’ve always wanted to know where I came from. I’ve loved being here with you and Dad in Harmony’s Echo. I’ve thought about what you said about following my dreams, and as hard as it will be to leave you, I realize that music is something I want to pursue. I want to thank you for the encouragement and neverending support you always give me.” Avery hugged her mother tight. “I’ve always been a little fearful- okay, well that’s under exaggerated. I’ve been very fearful of the day you may find your birth parents, but I know now that you would never forget us. That’s the reason you stayed around even when you had the chance to spread your wings and fly. No matter the distance between us, you are still my beautiful, talented wonderful daughter.” Tears cascaded down her mother’s cheeks, which started Avery with her own waterworks. And there you have it! Today's scene! Check out some other authors snippets! And thanks for coming by! Please, Mother, I'd rather do it myself! Welcome back to Sneak Peek Sunday! This is the chance that you get to read various snippets of authors work. There's usually a bit of something for everyone, and there's a variety. We post six paragraphs of a work in progress or a published book. It's fun and a neat way to find new authors and books. I've been posting snippets from my latest release, Baby Stetson, and today is no exception. This snippet is Lucas and Avery getting to know each other, and Lucas startles himself by finding a deeper connection to Avery, more than just a physical attraction, and that's where the demons within begin their battle. Lucas spent with her, the more he wanted to know. She’s a lot like me. There you have it! Today's snippet! 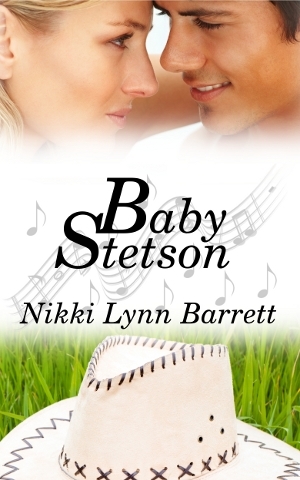 Right now, part of the Book Lover's Buffet, I've reduced Baby Stetson down to $.99. Check out some of the other participants in the Sneak Peek Sunday! You never know what you'll find!